Transsion Holdings, a global conglomerate with a strong presence through itel and TECNO, today announced a joint venture (JV) agreement with Spice Mobility, an Indian Business major across mobility space, to strengthen its foothold in the world’s fastest growing mobile market. The JV was inked today in the presence of Mr. Lin Qin, Vice-President, Transsion Holdings and Mr. Dilip Modi, Executive Chairman, Spice Mobility. Mr. Lin Qin is the Vice President of Transsion Holdings, supervising TECNO business unit, Carlcare service centre and platform management department. Under his leadership, TECNO brand has accomplished smartphone transformation successfully and its brand image has been improved significantly. Mr. Qin joined Transsion in July 2007 as Regional Manager. 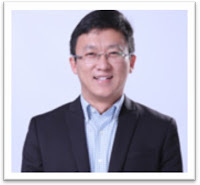 He was promoted to General Manager of TECNO business unit in 2011 and Vice President of Transsion in 2014. Before joining Transsion, Mr. Qin served Ningbo Bird for three years as sales manager at international business unit, in charge of international business development of mobile phone products. During this period, he accumulated rich market experience. Mr. Qin graduated from Shanxi University of Finance and Economics in 2004 with a master degree in management. Dilip Modi is one of India’s most successful young entrepreneurs and has pioneered several new technologies in the mobility and technology sector in India. As a young entrepreneur, Dilip is passionate about creating usable and affordable technologies that can help improve lives of people across Asia and Africa. Driven by his firm belief that technology can become a key enabler for achieving inclusive growth in the country, his group’s current business interests in the Digital technologies space exemplify this vision by creating affordable mobile internet products and services that enable the masses to access the latest technology. In the last two decades, he has created a strong portfolio of businesses within the mobility and technology sector, starting from successfully launching India’s first mobile service – Modi Telstra in 1995 that also hosted the very first mobile phone call made in India. After a successful divestment of Modi Telstra in the year 2000, he launched Spice Communications in Punjab and Karnataka, which soon became one of the most valuable and enduring brands in the two highly profitable mobile markets of the country. 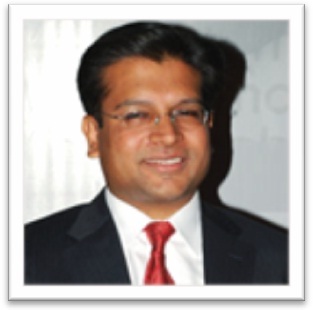 As Executive Chairman of Spice Mobility, Dilip leads the group’s businesses spread across Asia and Africa. His group companies in India include Spice Digital, which is a leading digital technologies & services company, Spice Money, Spice Mobiles & Hotspot Retail.